Search the series of blogs below to learn about the topic of Driving. Driving, while diagnosed with Asperger Syndrome or HFA, is possible only if the person feels comfortable doing so. There are many forms of transit offered in most cities to allow for some independence. Remember that many of the traits to drive may be learned, with much practice as long as you allow for time and maturity to occur. For more information on getting “Communication Impediment” directly on your Texas ID or driver license, you can read about the Aspergers101 “Driving with Autism” initiative here. So what is a communication impediment with a Peace Officer? 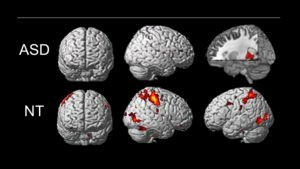 Most common diagnosis include: Autism, Asperger Syndrome, Mild intellectual disability, Deafness, Speech & languages disorders, Expressive Language Disorder, Down Syndrome, Post-Traumatic Stress Disorder, Deafness, Brain Injury or Parkinson’s Disease. 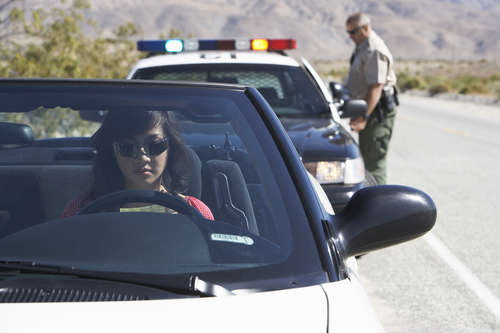 How can you get Communication Impediment with a Peace Officer on your Texas driver license or state ID? 1. Have your doctor complete and sign a Physician’s Statement, Form DL101, affirming the Autism, Asperger, speech disability or other appropriate diagnosis. 2. On driver license application KL14A/S be sure and complete line 7 on the form. 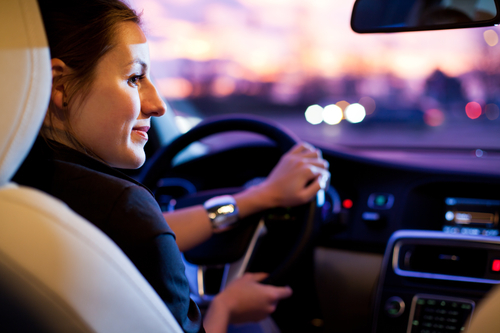 Every inexperienced driver can get nervous when they first begin to drive. In the case of Aspergers drivers, those nerves jangle even more, as they take in a lot more stimuli in the driver’s seat. Tension arises due to many, and frequently simultaneous, stimuli input. These include general anxiety, excessive sunlight, car and traffic noises (i.e. horns honking), bumps, high speed, and excessively high and low temperatures in the car. Any one of these stimuli potentially triggers meltdowns and panic attacks; not ideal when behind the wheel. Fortunately, there are methods to manage and control such stimuli to make them pleasant, instead of unpleasant. First, allow the Aspergers individual to practice driving while paying attention to the stimuli that s/he finds most unpleasant and pleasant. Then, make a plan to control it all. With regard to stimulus management, simple adjustments often provide the necessary resolutions. For example, climate control adjusts temperature, while sun visors and sunglasses can protect against excessive sunlight and glare. 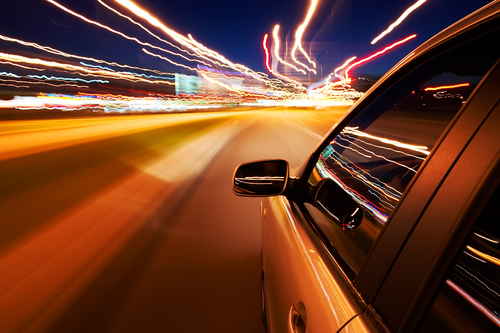 In the case of night driving, excess light comes in the form of headlights of oncoming vehicles. Looking away and using the road lines helps, as long as the driver pays attention to traffic, signs, and lights as well. Be sure that you do not rely on quick glances or peripheral vision, even though an Aspergers driver’s eyesight may be 20/20. Instead, analyze what you see and be prepared if something or someone moves in front of you (forward) or behind your vehicle (reverse) and do not use the accelerator when just starting to drive unless necessary for reverse movement; keep brake covered as much as possible and come to a complete stop before shifting gears. Use various frequencies of wipers, depending on how much precipitation covers windshield every second; not too slow and not too fast. These are a few of the many examples of how Aspergers drivers can utilize their own strength of detail-oriented thinking to break down relatively complex driving issues. Such a mindset ensures that the driver does not miss important details that can save many lives. “Driving with Autism” is an Aspergers101 series that educates and empowers the driver diagnosed with High-Functioning Autism or Asperger’s Syndrome. Aspergers101 has teamed up with the Texas DPS in training Texas State Troopers about the uniqueness of Autism and understanding the Autistic driver. This partnership is garnering encouraging results. 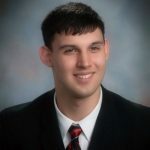 Reese Eskridge is a Production Technician with Fairville Products, who is passionate about working in the sciences (biology) and wishes to take his work experiences further into the fields of Educational Neuroscience; Science Fiction; Freelance Writing; Disability Advocacy; Public Speaking; Leadership and Entrepreneurship. Aspergers101 is proud to offer the insights and perceptions of the talented Mr. Eskridge, who is obviously living life on the spectrum to it’s fullest! Though driving with an Autism diagnosis is not for everyone, many do decide to obtain their driver license and go on to live independent lives. Aspergers101 teamed with Dr. Temple Grandin to provide helpful information when considering if driving is for you, or your teen. Long before driver education, Temple suggests first mastering your skills by practicing on a bicycle (coordination, motor skills). Then tackle driving in a safe remote area such as the country or large parking lot. You’ll begin mastering such challenging tasks, such as multi-tasking, prior to any driving on congested roadways. One suggestion she has is that before you take a driver education course, you need to find a safe place and practice, and after that, practice even more! 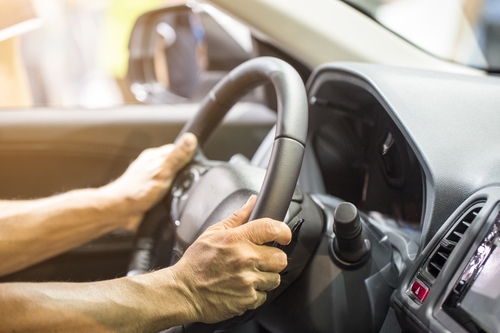 Getting the ‘knack’ of driving includes working on your coordination, motor skills, and multi-tasking which all come into play when learning to drive, even more so for those on the autism spectrum. Anxiety can often be reduced (for the driver with Autism) by lots of driving practice in a safe remote location. Once you’ve mastered working the brake, blinker, gas and other essential tasks while driving, you’ll then be ready to be thrown into a group/driver education training. For many with Autism a fear of driving stems from anxiety that can result from being pulled over by an officer of the law. In some cases, fear of just that very scenario is the reason many never pursue obtaining their driver’s license. Good communication skills and actions are key to making an already stressful situation go without incident for anyone, but with the diagnosis of autism, Aspergers, or speech impediments misinterpretation is almost a certainty. Dr. Louise O’Donnell, who specializes in Clinical Child & Adolescent Psychology at UT Health Science Center in San Antonio Texas, offers suggestions to make a ‘pull-over’ go without incident. Drivers with ASD, especially those who have little experience, often neglect to learn about vehicle maintenance. They do not receive car maintenance information in driver’s education courses and may feel persuaded to initially think that it does not matter. 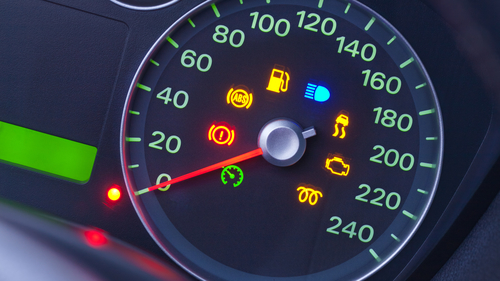 Unfortunately, when lights come on in their cars or if their cars unexpectedly die on them, they may become confused as to how to deal with such situations. Parents must educate their driving children, especially those with Aspergers, about the various situations that could arise when transportation fails. These issues include schedule changes and a dependency on alternative transportation. Having lived in several different cities, I can attest that it most certainly is not a regional thing: you’ll run into idiot drivers no matter where you live. It isn’t profound at all; many casual conversations begin with a gripe about traffic on the way to someplace or another, or end up there eventually. Driving is a serious source of stress for many, even under the best circumstances. And for people diagnosed with Autism, they are already functioning under decidedly less than the best of circumstances, and the idea of getting behind the wheel can cause anxiety. I found that I did not have a great deal of difficulty behind the wheel. Having a nice, large, rarely-traveled stretch of land to practice on, and taking as many opportunities to practice, is the first thing I recommend for those who are diagnosed and want to drive. It certainly helped me. After enough practice, it became second-nature. Contrary to the assumption that driving is the natural enemy of the Autistic because it demands multi-tasking, it really isn’t so difficult as all that. It has a nice and structured set of regulations, and your task is simple: start at one location, and control the vehicle in order to safely reach the next. Anyone who has ever played a game, whether analog or digital, can tell you that while rules and setup are intimidating at first, once you see how it’s done and try it for yourself, it isn’t as hard as all that. To the Autistic person who wants to learn to drive but feels rather intimidated, just think of it as a video game. Parents often find that they must explain things in full detail and repeat the same things many times for their Aspergers children. This stems from the fact that Aspergers individuals often forget things that lie outside of their general sense of familiarity or that they spontaneously lose their focus when they fixate on a particular sight. In addition, Aspergers individuals often take caution when dealing with matters unfamiliar or unsafe to them. They want to know all details before tackling something new, challenging, or risky. This is especially true in the case of the inexperienced Aspergers driver. Of course, any typical vehicle has everything necessary to allow the driver to observe his surroundings by default. The real issue is that the driver often has trouble effectively using those tools across a wide variety of scenarios, such as lane-changing, crosswalks, hills, and sharp turns with limited forward visibility. 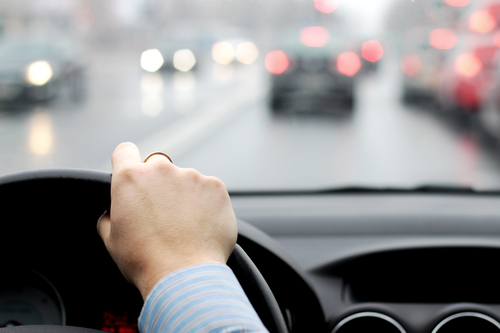 Whether the issue encompasses infrequent use or misuse, the Aspergers driver takes unnecessary risks when they fail to use the proper techniques that ensure safe travels. Or buy your own “Driving with Autism” car decals and magnets! “Driving with Autism” is an Asp ergers101 series that educates and empowers the driver diagnosed with High-Functioning Autism or Asperger’s Syndrome. 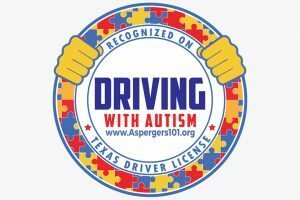 Aspergers101 has teamed up with the Texas DPS in training Texas State Troopers about the uniqueness of Autism and understanding the Autistic driver. This partnership is garnering encouraging results.